Custom Teardrop Sign. Unique shape is always on display with or without wind. 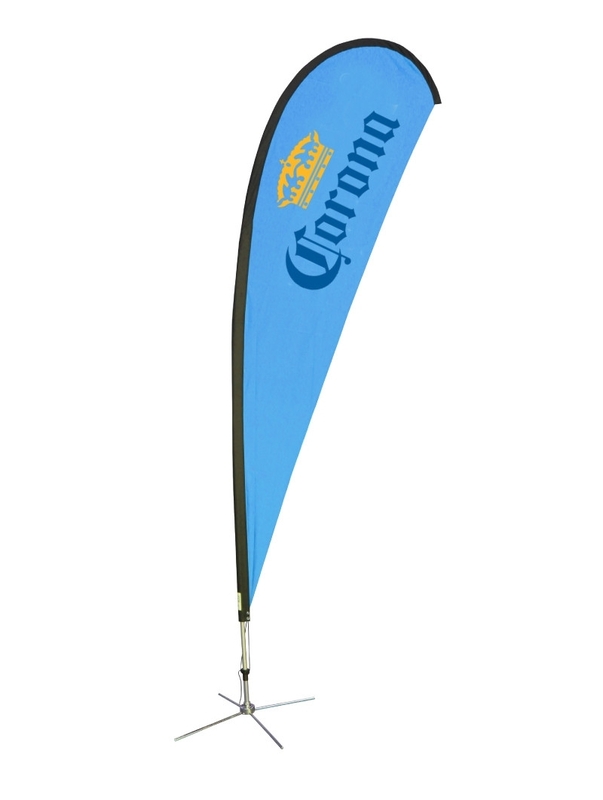 • Teardrop Flags have rotating stainless ground spike to rotate in the wind. • Heavy duty non collapsible fiberglass pole.